Lucky Goldstar or LG—name through which it is popularly known as, is one of the big (premium) players when it comes to television market. LG is arguably the most prolific brand in terms of TV offering, outnumbering its competitors with the gamut of its TV line up. LG’s commitment of continually pushing for the latest technology and innovation has taken the big leap with its latest AI-powered OLED TV offering which features in the premium TV category. LG is the pioneer of OLED technology, which even Apple is eyeing to use it in its upcoming iPhone line up. The state of art technology, OLED stands for Organic Light Emitting Diode which uses organic material that glows when electricity is passed through them. The main difference with organic LED as opposed to the standard one is that in organic LEDs pixel provides its own illumination whereas other TVs have LCD screens and LED for backlighting. Now with this difference it leads to a possibility of reducing the thickness and weight making the new generation TVs look much sleeker. Besides this on geometrical front, main advantage of OLED lies in its superior color reproduction and ability to achieve perfect black by completely powering off the pixel. With the help of the expanded color pallet which now supports more than a billion colors, thanks to its 12-bit panel, unparalleled theatre-like experience is offered by LG in the high end models like W7, C7 and E7. The drawback of OLED is that they are less durable and sensitive to water. People living in region with high humidity and heavy rainfall should be careful with the placement of OLED TV. OLED Technology from LG stacks up really well against various technologies from competitors like Samsung’s QLED and Sony’s Triluminous display (both of which generate superior color range). Quad step noise reduction: Normally even a advanced TV processor involves maximum two-step noise reduction to reduce graining and banding in the displayed content. But Alpha9 processor creates sharper image using four steps–quad-step processing which is at least two times better result than the smartest processor of competitors. This technique is particularly useful for viewing darker scenes especially the ones featuring night scene with minimal light. Frequency based sharpness enhancer: Artificial intelligence allows Alpha9 processor to precisely detect the object and its edges from the background. By accentuating the edges of the object Alpha9 creates greater depth and detailing making picture appear life like. Object depth enhancer: Alpha9 processor comes with advanced object depth enhancement algorithm which precisely separates the main object from the background by astutely analyzing textures and edges present in the image. They are processed using efficient logic to make detection clearer and those edges sharper. This results in improved perceived depth of the picture giving out the subtle details which would be hidden otherwise on display of ordinary TV. True color reproduction: Alpha9 processor utilizes color table 7 times more powerful than conventional. Color accuracy is improved 68 times in case of Dolby-powered HDR content because LG supports Dolby Vision HDR. This true color reproduction is particularly discernible when viewing a wildlife program. Frame rate improvement: Alpha9 processor improves the motion rate (also frame rate) of the TV. Ordinary smart TVs usually come with 60 fps (frames per second) rate but powerful Alpha9 processor doubles the motion rate to 120 fps. This means you can capture detailing of the object in motion without much blur and jadder. This is a boon for people who love watching sports and action packed movies as every minute detail even at high speed would be captured. HDR is the new pitching point for the salesman showcasing big size smart TVs to the customers. So what exactly is HDR? Formally speaking HDR stands for high dynamic range. HDR significantly expands the range of two important factors—contrast ratio and color accuracy. Thus, bright parts of the image get much brighter. So, it seems image possesses more depth. Color range expands to show brighter blues, greens, reds and everything in between. For example, HDR content of campfire shot at night would have subtle details in the flame rather than just appearing blown out. With the HDR you can identify the objects that are barely lit in the gloomy surroundings at the edge of the frame. Thus HDR-compatible movies can push TVs to their limit, with brighter highlights, perfect blacks and wider color gamut. LG offers Active HDR with Dolby Vision in its premium OLED models. Active HDR with the blend of groundbreaking OLED technology delivers ultimate cinematic experience for movie lovers. Best part about LG’s Active HDR is that it supports all major HDR formats: HDR10, Dolby Vision and Hybrid Log Gamma (HLG). Dolby Vision is a proprietary product from Dolby which brings entertainment to life creating dramatic scenes with improved brightness, color, contrast and dimensionality. With more than 2 lakh frames in a 3 hour film, picture quality of each frame is optimized through dynamic metadata. Also Dolby Vision produces 68 billion color as compared to 1 billion color in ordinary HDR TV. Dolby Vision HDR is the preferred choice for popular OTT and Hollywood movie creators like Netflix, Universal Pictures, Warners etc. Additionally, usage of Self-lighting Pixel–a unique technology owing to its OLED construction, emits light individually which makes it perfect for HDR. Thus premium LG TV powered with Active HDR also brings the power of Hollywood studios to your home. What is IPS 4K Nano Cell Display? Nano Cell Display forms another technological innovation from the Korean conglomerate wherein uniformly sized particles approximately 1 nm in diameter are being employed, to show accurate colors with vibrant details for a flawless experience even while viewing it from a tilted angle up to 60 degrees. This outstanding result is achieved by absorbing surplus light wavelengths, thus enhancing color purity which is displayed on its amazingly vivid 4K screen. Nano Cell Display brings out over a billion vivid colors, 64 times richer than standard TV. LG’s IPS 4K Quantum display provides viewers accurate colors by reproducing more shades of colors with finer degradation so they can enjoy this from a wider viewing angle. Nano Cell Display effectively solves some of the understated problems of LED TVs like: color fading, image instability and other degradation issue. Going further and blending it with ULTRA Luminance technology which transfers the excess of current form dark regions to boost up the contrast. This helps in delivering sharper and crisper image highlights. To realize the dominance of LG in this area its worthy to note that LG supplies panels to its competitors like Sony and Panasonic! Most of the tech experts rate webOS the operating system used by LG to power its smart TV line up, as the best in the business. It is perfect in terms of design and usability. webOS menu system has been the vanguard in many tricks which are have now become standard, but still its competitors aren’t able to match with what webOS offers. Sticking to its simple and intuitive design, LG hasn’t tinker much with its OS which was released few years back; but consistently hit the sweet spot by bringing in the incremental upgrades by adding useful features. Newest webOS 3.5 version delivers what the user want in a hassle-free manner. 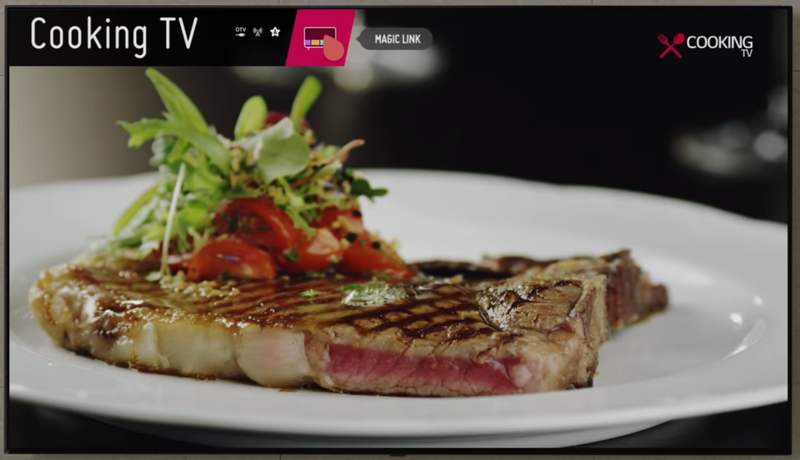 It comes with a fresh smart function that eases the access to menu of user preffered content, thanks to its ThinQ AI .Overall, it is stable, responsive and least prone to slowdowns. Multi Window: The webOS supports multi-view like multi window viewing on desktop computers so that viewers can watch two split scenes on the same screen. Magic Remote with Magic Link: One of the main USP of LG is its Magic Remote which comes with plethora of useful features like motion-controlled point and click functionality, voice commands and also acts as a universal remote. Magic remote works like a mouse pointer nullifying the need to have an additional Bluetooth mouse. Also it comes with Magic Link feature wherein whenever you watch something it would show you all related content about that video. For example if you watching a video on cooking a Biryani enabling Magic Link will show recipe for Biryani, types of Biryani, nutritional value of Biryani etc. 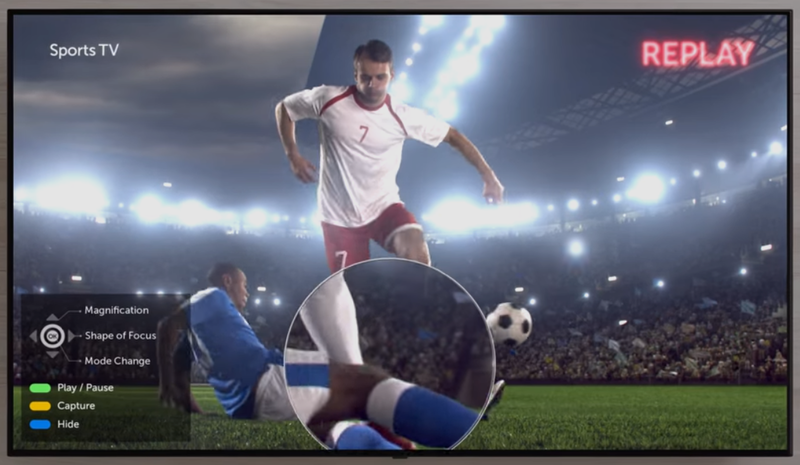 Magic Zoom: If you are an ardent sports aficionado you would often crave for more details in the crunch moment of the game. For example when a referee in football match whistles for a foul you wish to see weather it was really a foul. Similarly in cricket if someone picks a low diving catch you wish to check if its a legitimate catch. This is something which third umpire checks with advances machines and programs. 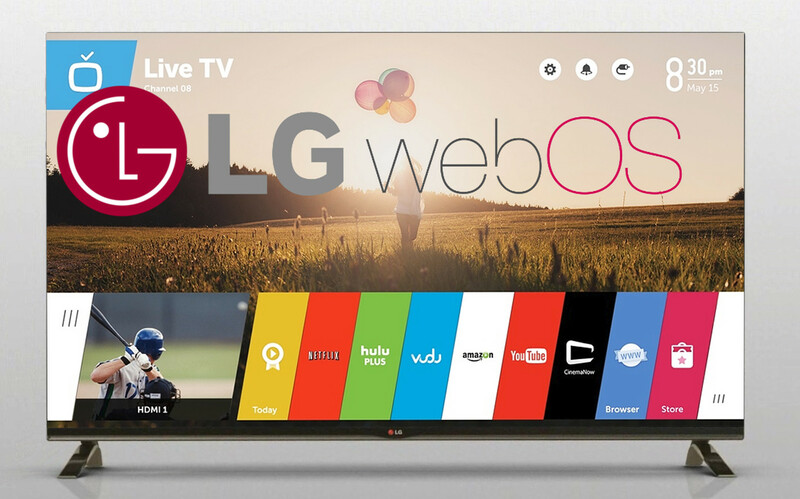 LG TV webOS 3.5 gives it that power to the user. It comes with a Magic Zoom button (or Live Zoom) which can instantly zoom the area which viewer wish to watch more carefully. Hotkeys and Customization: Buttons on the remote are clearly labelled making it easier to navigate, eliminating the need to refer user manual frequently. Remote comes with a dedicated button for launching Netflix and Amazon Prime. Patrons of this two OTT providers should rejoice! Even if you happen not to subscribe these two then worry not. You can set your favourite apps to the numpad to quickly launch them. For example you can customise the remote to launch Youtube whenever you press and hold say number 1 on the remote. LG TruMotion – What is it? There is nothing worse than buying an expensive TV with wears off too soon owing to its delicacy of construction and operation. Considering the dire need for longevity, LG has taken couple of tangible steps in its design so that their products lasts longer. It is now shipping robust IPS panels in its line up which are resistant to varying temperature and pressure given the vast dichotomy that exist across the country due to changing geographies and weather. It also provides safety over the range of 100-240 AC volts and 50-60 hertz of frequency. Not only this, it also armed with 500V cap, fuse, varistor, thermistor and isolator for protection against any unexpected surge in lightning. It has also made improvements in it back cover vents, so they are now resistant to dust which is common in Indian household. This would be good news for the Indian consumers—LG has taken the initiative to break the language barrier by offering support for gamut of local languages like Hindi, Marathi, Begali, Punjabi, Tamil, Malayalam etc. Additionally, it also offers Bollywood Mode, that automatically selects the optimum EQ sound so viewers can enjoy vivid Bollywood genres with the optimized sound, giving a lovely cinematic experience. What is Anti-mosquito Technology in LG TVs? LG has again manifested innovative approach by bringing Mosquito Away Technology which would come as a relief measure in metros where problem of breeding mosquitoes is growing and causing disease like malaria, dengue, chikungunya at a rapid pace. It becomes first manufacturer to do so and this feature in its high-end TVs would give LG the edge. It uses the ultrasonic waves which helps to keep pesky mosquitoes away without the need to resort to harmful chemicals. LG is one of the trusted brands in the television segment. It gives close competition to its contemporaries like Samsung, Sony, Panasonic etc. Comparing with Samsung, which in general offers better picture quality owing to its usage of VA (Vertical Alignment) panels as opposed to IPS (In Plane Switching) panels used by LG. VA panels offers more vibrant picture quality but at the cost of mitigated viewing angles. IPS panels are more durable and provide wider viewing angles. Sony doesn’t quite match up with versatility of LG as it offers a wide range of models, but Sony does have better screen uniformity. Also, Sony uses more aesthetic and premium materials for constructing its TV series. LG has been one of the manufacturers which has been precise in capturing nerves of Indian consumers. It has started offering the features which they have longed for like durable design which can cope up with vagaries of Indian weather, chemical-free protection from pesky mosquitoes and electricity protection. With inclusion of OLEDs, it clearly provides an unbeatable picture viewing experience for its elite customers. The downside of LG TVs are they don’t quite offer a good value for money and given its preference for IPS panels, which has poor contrast ratio, meaning that in the murky dark environment blacks would appear to be gray. 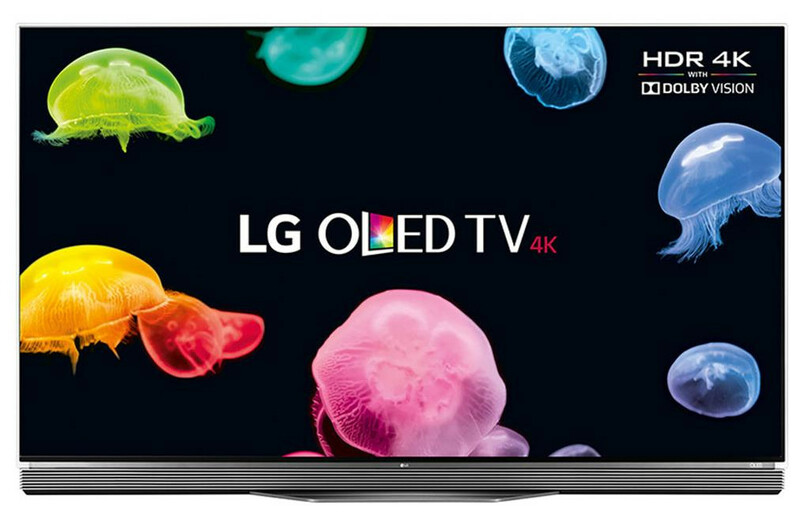 But overall, LG still continues to be most innovative and versatile brand and with nearly two decades of presence in this segment, this can be your go-to-brand for your next TV purchase.